For some reason, theology often gets a bit of a bad press. I'm not sure exactly why. Often from the way people make sweeping statements, it seems that the reason is so obvious that everyone must get it except me. They say things like 'We don't want/need theology' or, even worse 'Theology divides' (when in actual fact it's theology that unites and heresy that divides). In actual fact, even though we might not always want it, we do 'need theology'. Theology is simply the knowledge of God and His ways, and so if we want to get to know our God, we need theology. And that doesn't just apply in the sense of getting to know Him better; if we want to know Him at all we need theology, for the Gospel itself is theology, as it is only through the Gospel that we come to a true knowledge of God. Yet theology isn't only necessary for getting our evangelistic presentations right. 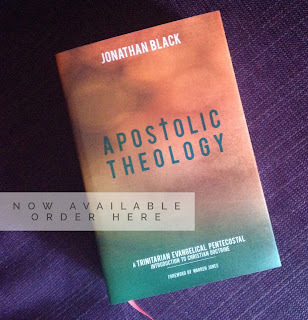 Theology is necessary in the practicalities of serving God from day to day. I'm a pastor and I need theology everyday to do my job. Not only in the preparation of sermons and Bible studies, but in everything I do, I need theology. When I go visiting I need theology, so that I can apply God's self-revelation to the circumstances of those I visit. When I counsel I need theology, so that I can point people to God's solutions rather than man's ideas. When I'm thinking about what to say when leading a meeting I need theology, so that people are edified, that He might increase and that I might decrease. When I'm planning where to focus my time and energy I need theology, so that my time is spent in ways that bring glory to God rather than ways which please people. When I face criticism I need theology, so that I might respond from a heart and mind renewed by God rather than out of my sinful nature. 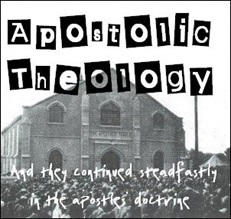 Theology isn't just needed in the study, but in every aspect of a pastor's ministry. Theology is immensely practical. But not just for pastors. Theology is practical for all Christians. The Bible tells us that as Christians we are to 'grow in grace and in the knowledge of our Lord and Saviour Jesus Christ' (2 Pet. 3:18). Remember, theology is the knowledge of God. So that means Christian growth, growth in grace, involves (at least in part) theology: we need to grow in the knowledge of Christ.